BROWN, RICHARD 1956. The Ross Glacier. Nature, Vol. 178, Issue. 4526, p. 192. 1 Walton had been awarded the Albert Medal for a similar feat in 1946, when he was a member of the Falkland Islands Dependencies Survey. 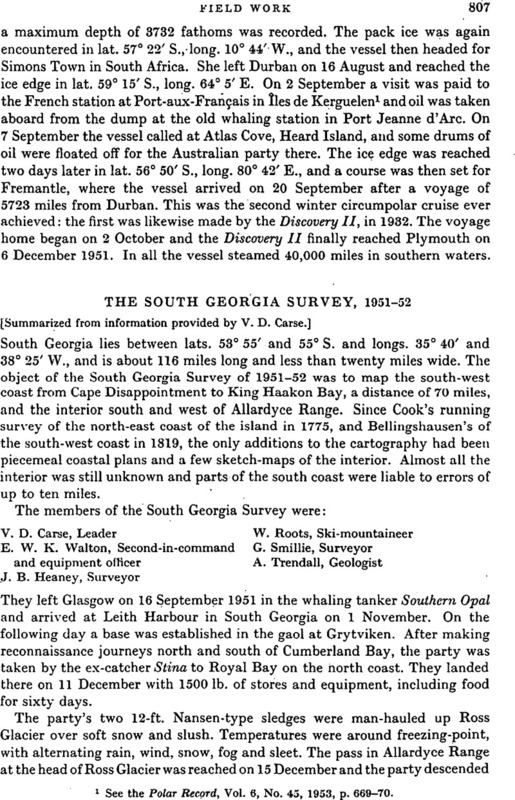 See the Polar Record, Vol. 5, Nos. 33/34, 1948, p. 140.